We are in the holiday spirit around the shoppe! but had to resort back to my usual tunes on Friday. I'm not a ba-humbug, just need to celebrate Thanksgiving before jumping in with both feet! Anyway, back to the Holiday Spirit. One of the first things customers notice when they enter the shoppe, is the wonderful smell. Each month we feature a candle-of-the-month, and burn it while open. 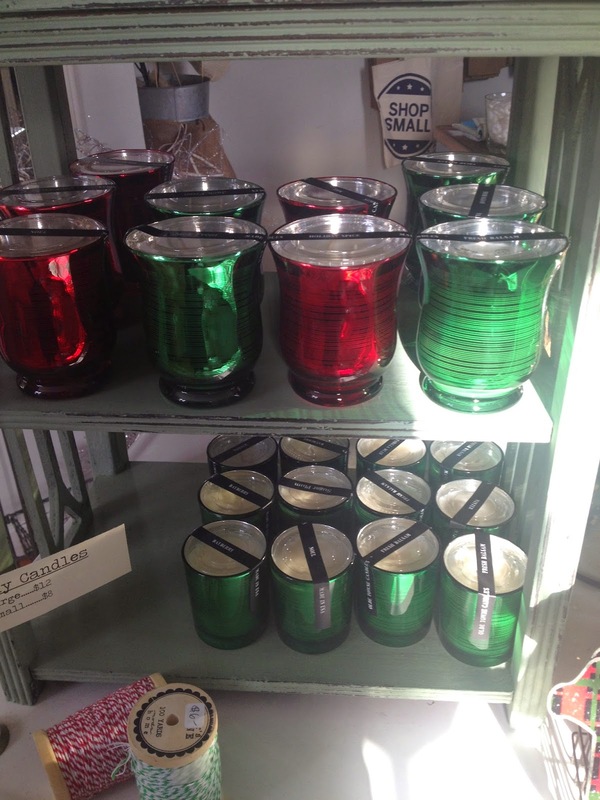 Our locally made candles are fantastic. They burn beautifully and the scent is double poured, so it has a strong fragrance right til the end. 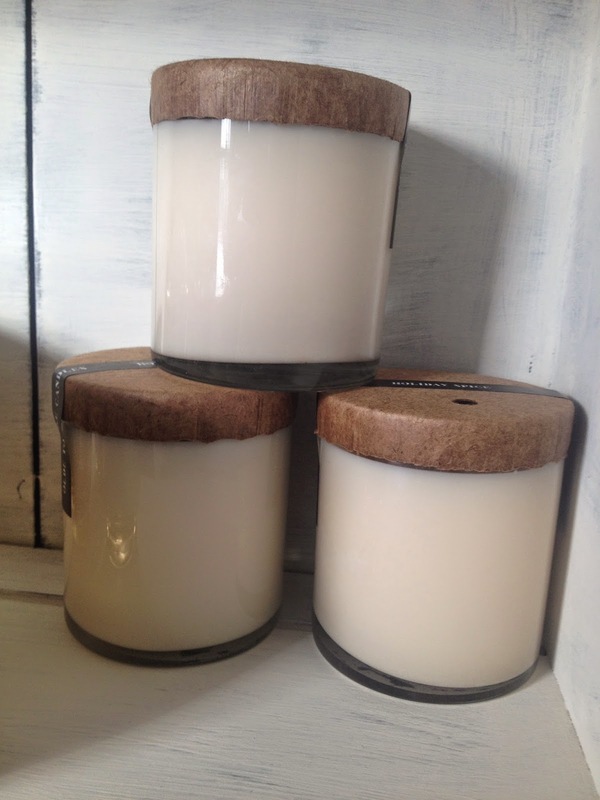 Regardless of the scent, the candles are neutral with simple packaging = no tacky label! In addition to our candle-of-the-month, we have special holiday candles. Same fabulous fragrance, just holiday jars. Because they make wonderful hostess, teacher, friend, hair stylist...really anyone, we will be stocking a large variety of scents and sizes for the season. Prices range from $8 - $12, for the candles shown and an extra large size at $20. 10:00 - 3:00 & 6:00-8:00. Promise, the shoppe will smell festive, even if Fleetwood Mac is playing!